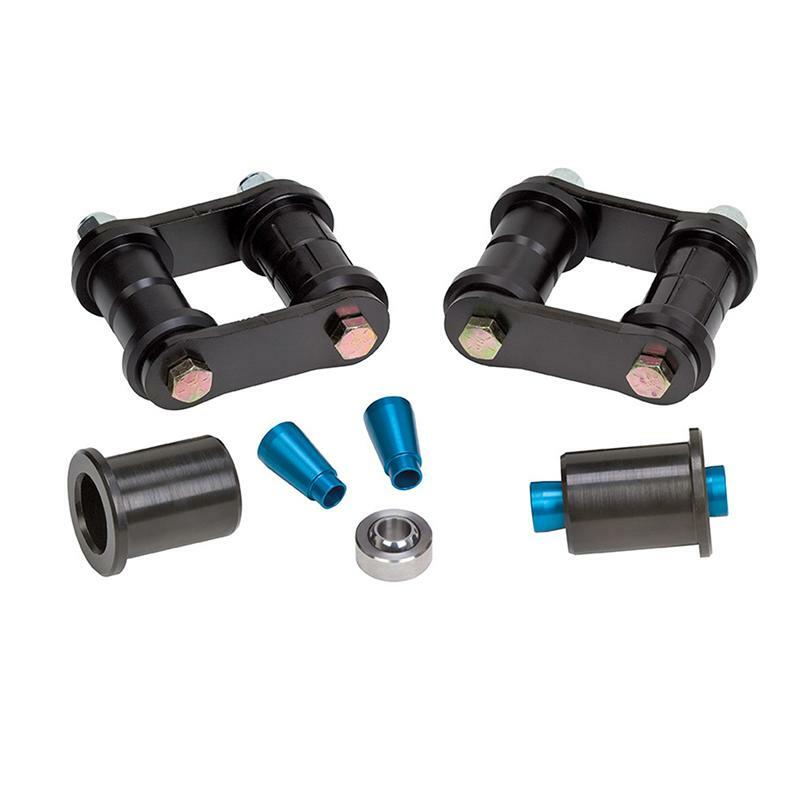 Improve the cornering performance and traction of your ride with the Hotchkis Sport Suspension Swivel Max Bushing upgrade. 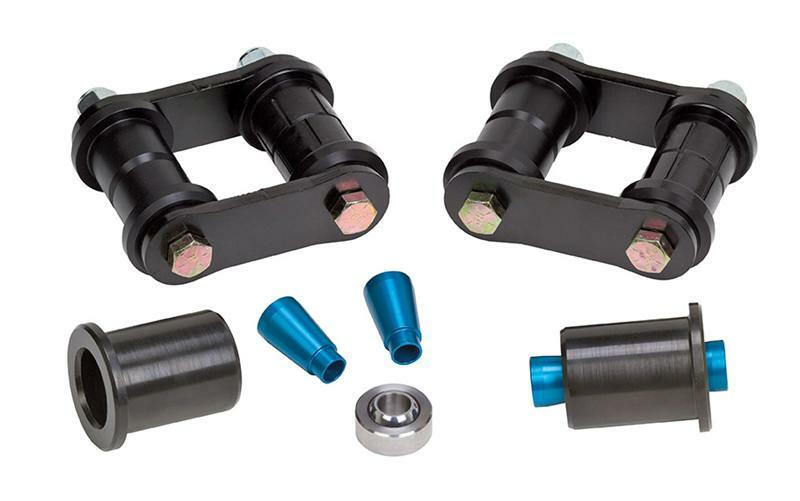 This kit is designed to replace standard 2” OD front eye bushings and 1.6” rear eye bushings on the Hotchkis leaf springs with a high articulation mono ball to increase suspension compliance and articulation improving cornering traction and eliminating suspension bind. This upgrade is a must for any high performance application looking to maximize traction at the autocross or road course. The system contains CNC machined front bushing cans with PTE lined mono balls, blue anodized CNC machined aluminum articulation spacers, heavy duty shackles, Delrin bushings, and grade 8 hardware. Proudly made in the USA.